These are offered as plug in and ready to go for many models including YFZ450R, LTR450, KFX450, Raptor 700, Several Street bikes, many early 90s Ford cars and trucks with EEC IV systems, and more. There is also enough info available along with harness leads to adapt it to almost any fuel injected offroad powersport vehicle. This ECU is full programmable and includes data aquasition for those who want that. If you need someone to install a custom kit and tune it for you - just ask and we can match you up with a company that best suits your needs. All ECUs are sent out with the latest updates and are ready to plug in and run. We will install any new updates at no charge for you any time you like. This cable lets you connect and make changes and updates to your ECU yourself - it is not recommended until you have training in doing this. Dealer pricing - call for info. Q: Where do I mount the ECU? A: It is larger then the stock ECU - it comes with a mounting plate to install it above the airfilter. Please note: Installing it under the seat can create a problem if you dont pay close attention to keep it mounted low enough so that it does not contact the seat when in use. 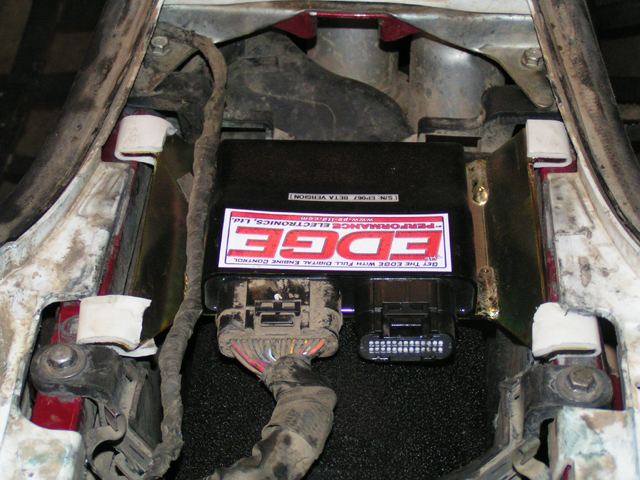 This ECU is designed and built by Performance Electronics. Your ECU is sent to you with the latest fully tested operating system and run files installed - it is truly a plug and play system. Anytime you would like our latest updates - you can either download and install them from the right side of this page or you can send the ECU to us for free updates. There are 3 things that need to match to make changes or updates to your ECU. The Monitor (program for your laptop), the .peb file (operating system on your ECU), and the .ped file (program that has all your engine configuration info in it). If you need technical assistance - please setup an account with Logmein at logmein.com. Then setup a temporary log in and password for us to use. When you call us - we can then log on and help you make the changes you want - and you can watch us in real time on your computer.